A conservation area that started with seven acres in 1986, when The 300 Committee was established, was expanded to 20.4 acres in 2007, thanks to a bequest from its long-time steward. Betty Eaton, who died in 2006, loved the trails that wound through the woods and along the old stone walls of the Mock Moraine conservation area off Blacksmith Shop Road in West Falmouth. 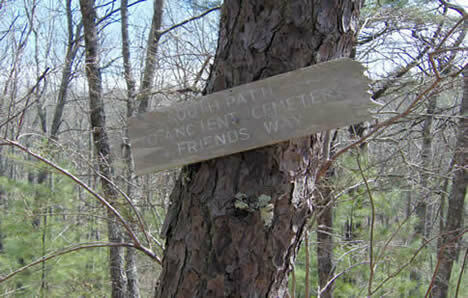 She created small signs that still exist to mark the various paths. It was her hope that her bequest could be used to preserve more land nearby.